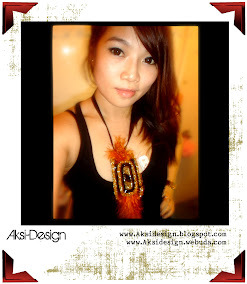 Aksi Design: this only what to show new shapes of bead. this only what to show new shapes of bead. The latest innovations from SWAROVSKI ELEMENTS sparkle with optimism and present designers with a gorgeous palette from which to conjure joy-filled creations. These refreshing new Spring/Summer 2011 innovations will be available for purchase in early March 2010. A strong color, new Swarovski® fern green is a mix between the popular Swarovski colors peridot and emerald. Described as a true grass-green color, fern green is reminiscent of lush fern valleys and beautifully reflects light with the renowned Swarovski flash. Provence (PRAW-vonce) lavender crystals have their own enchanting qualities that capture and hold attention. With light lavender hues and a hint of iridescence, the new Swarovski® crystal lavender pearl artfully resembles a naturally created pearl. Just like fine South Seas pearls, Swarovski crystal pearls have a flawless surface and perfect curves that warm to the skin. Combining a crystal core with an innovative pearl-like coating that is resistant to UV rays and perfumes, Swarovski crystal pearls are ideal for long-wearing, heirloom-quality jewelry. The "not-so-square" square offers a gently off-center shape with brilliant cuts and the renowned Swarovski® sparkle. The cosmic square ring offers designer's versatility, use in jewelry designs as a link, pendant or sew-on component. The innovative Square Bead Double Hole belongs to the “modular shapes” family. Featuring two parallel holes and an outer shape which invites innovative designs, it offers a vast array of combination possibilities. The Artemis Bead is a modern interpretation of a spacer bead. Its conical shape with a beveled hole makes it ideal in combination with round elements. Asymmetrically faceted to resemble the gossamer wings of a dragonfly, the Swarovski® wing pendant fits perfectly into modern Art Nouveau jewelry styles. The signature Swarovski facets create an unsurpassed brilliance. A unique asymmetrical shape that perfectly complements the trend towards organic shapes, the Crystal Baroque Pearl showcases wonderful effects and smooth light reflections. A new shape that implies a strong and futuristic mood. Shop an even greater selection of SWAROVSKI ELEMENTS with new line extensions of white opal in a variety of shapes and sizes. The cubist bead has just been added in a larger 20mm and 28mm size. The signature Swarovski® lotus pendant, from French designer Andrèe Putman's "Fantastic Flowers" collection, presents a delicate interpretation of the lotus flower. The lotus pendant has five points with deep, teardrop-shaped facets that also create the resemblance of a sand dollar. The top point offers a teardrop-shaped, smooth beveled hole for attaching a bail, cord or beading wire. With its profound bloom and vibrant colors, the zinnia flower was the perfect inspiration for French designer Andrèe Putman's "Fantastic Flowers" collection, exclusively created for SWAROVSKI ELEMENTS. Precision-faceted, the 45mm zinnia pendant offers the renowned checkerboard cut with a natural-look edge and two deep oval facets. Smooth, beveled hole for attaching a bail, cord or beading wire. With its profound bloom and vibrant colors, the zinnia flower was the perfect inspiration for French designer Andrèe Putman's "Fantastic Flowers" collection, exclusively created for SWAROVSKI ELEMENTS. Precision-faceted, the zinnia pendant offers the renowned checkerboard cut with a natural-look edge. Smooth, beveled hole for attaching a bail, cord or beading wire. Like the gingko leaf, the Swarovski® ginko pendant is fan-shaped with a natural-look, irregular edge. From French designer Andrèe Putman's "Fantastic Flowers" collection, the ginko pendant celebrates the exotic complexity of nature. With precision checkerboard facets, the pendant produces a beautiful sparkle. Smooth, beveled hole for attaching a bail, cord or beading wire.